The Monell Centre is the world’s only independent, non-profit scientific institute dedicated to interdisciplinary basic research on the senses of taste and smell. Since its foundation in 1909, FEMA has served the interests of member organisations through setting formula standards, advocating for policies that positively impact the food and flavour industry, and effectively representing members’ interests at home and abroad. Food for Health Ireland (FHI) is a multi-location, multi-partnered, multi-disciplinary research centre that addresses some of today’s most pressing health issues through food. Dublin City University (DCU) is a young, dynamic and ambitious university with a distinctive mission to transform lives and societies through education, research and innovation. NIZO Food Research is a world-leading centre in contract research and food innovations based on proteins, bacteria and processing. It is an independent company and one of the most advanced contract research centres in the world. 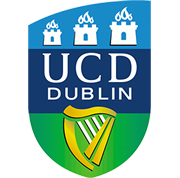 University College Dublin (UCD), is one of Europe’s leading research-intensive universities. At UCD undergraduate education, masters and PhD training, research, innovation and community engagement form a dynamic spectrum of activity. University of Reading was established in 1892, and is now ranked in the top 1% of universities worldwide (QS University World Rankings 2014/15), with a world-class reputation for the quality of teaching, research and links to business. University of Wisconsin – Madison faculty and staff provide a world-class learning experience to more than 42,000 students. Research is a critical component of the work undergraduates produce. Alimentary Pharmabiotic Centre (APC) is about people working together across the boundaries of traditional research sectors. The APC has created a lively trans-disciplinary environment with clinicians, clinician-scientists and basic scientists from diverse backgrounds working in teams, sharing ideas and resources. 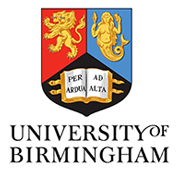 University of Birmingham has been challenging and developing great minds for more than a century. Characterised by a tradition of innovation, research at the University has broken new ground, pushed forward the boundaries of knowledge and made an impact on people’s lives. UNT is one of the nation’s largest public universities with 37,000 students. As a catalyst for creativity, UNT fuels progress, innovation and entrepreneurship for the North Texas region and the state.